Accessory-maker Manfrotto has introduced a new series of monopod kits called XPRO Monopod+ and a new FluidTech Base to help videographers to achieve smooth pan, tilt and swivel motions. 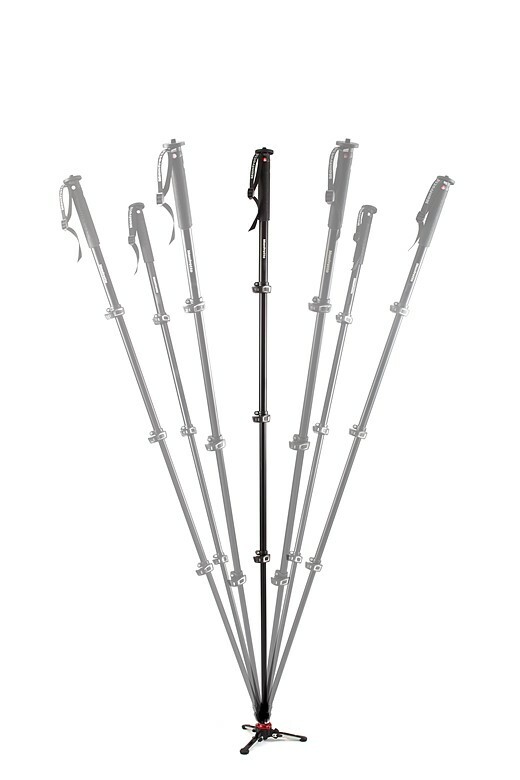 The new Monopod+ models come in a choice of four or five sections. The legs are made of aluminum or carbon fiber and kits are available with and without heads. The actual monopods are the same as the existing XPRO models but they come with the FluidTech base included. The new base is slightly larger than the one it replaces and offers three-way motion instead of just support for panning. The rotation can be locked off to allow only panning or unlocked to support smooth action in three directions. 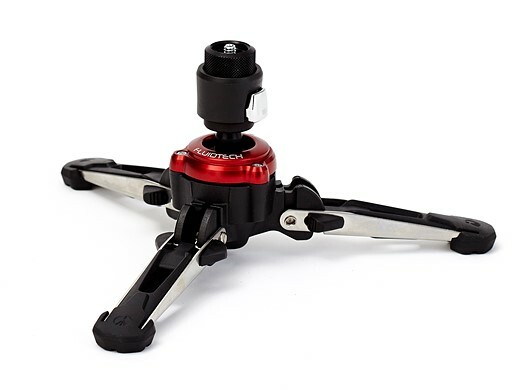 The base attaches and detaches by screwing it to the foot of the monopod, and while the base will hold the monopod upright on its own Manfrotto doesn’t suggest using it self-standing with a camera attached. The new FluidTech Base will be $99.99/£74.95 and the kits including a monopod will start at $189.99/£144.95. 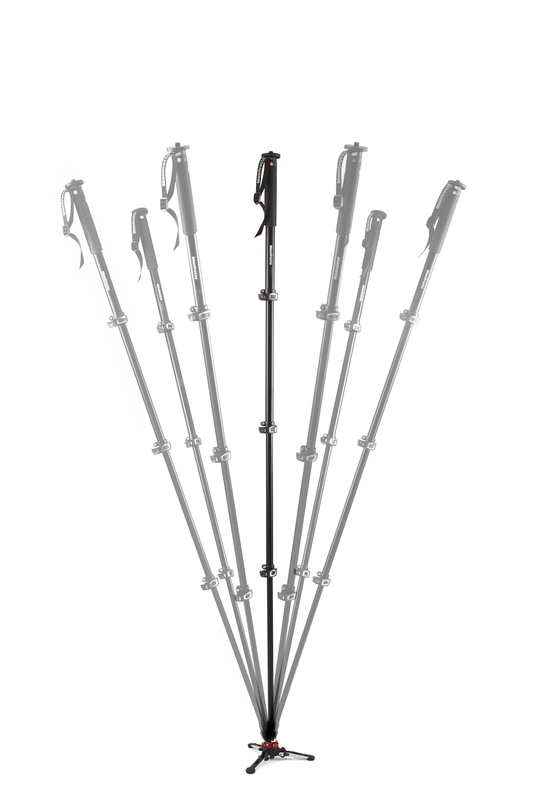 October 2016: Manfrotto, world leader in the photography, imaging equipment and accessories industry, presents a new offering featuring high-performance monopods for professional videographers and photographers: the new XPRO Monopod+ family. When volume and weight need to be minimal, set-up speed is of primary importance, in crowded places where there’s no room for a tripod, or for creative, overhead footage – whenever a tripod is not the option, monopods are the solution. They enable users to quickly and easily move from one shooting point to another, providing stable support to video and photo equipment, ensuring incredibly smooth footage, ultra-sharp photos and creative shooting perspectives. This exciting new generation brings image makers the ground-breaking FLUIDTECH – Full Fluid Base, making Manfrotto XPRO Monopod+ the first of its kind on the market featuring fluidity on all 3 axes to deliver ultimate smoothness in an extremely compact solution for advanced video shooting.